AACSB International 777 South Harbour Island Blvd., Suite 750 Tampa, FL 33602 813-769-6500 aacsb.edu The Association to Advance Collegiate Schools of Business (AACSB) The Washington State University Carson College of Business is accredited at the bachelor’s, master’s, and doctoral levels in business and accounting by the Association to Advance Collegiate Schools of Business International (AACSB), the premier accreditation organization for business programs. Less than 2 percent of business schools worldwide have earned such distinction. AACSB International is a membership association of educational institutions, businesses, not-for-profits, and government organizations devoted to the advancement of higher education in business administration and management. 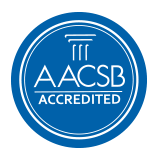 The AACSB accreditation standards are used as the basis to evaluate a business school’s mission, operations, faculty qualifications and contributions, programs, and other critical areas. AACSB accreditation assures students that the business school is providing a top-quality education. It also assures employers that AACSB-accredited business school graduates have been prepared to perform on day one. Additionally, AACSB accreditation provides many benefits to the faculty and staff at its accredited schools by attracting higher-quality students, providing greater research opportunities, and allowing for global recognition. Northwest Commission on Colleges and Universities 8060 165th Avenue N.E., Suite 100 Redmond, WA 98052 425-558-4224 nwccu.org Northwest Commission on Colleges and Universities (NWCCU) Washington State University is accredited by the Northwest Commission on Colleges and Universities (NWCCU). 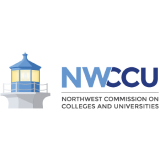 Accreditation of an institution of higher education by the NWCCU indicates that it meets or exceeds criteria for the assessment of institutional quality evaluated through a peer review process. Accredited colleges or universities have the necessary resources to achieve their stated purposes through appropriate educational programs, are substantially doing so, and give reasonable evidence that they will continue to do so in the foreseeable future. Institutional integrity is also addressed through accreditation. Accreditation by the NWCCU applies to the institution as a whole. As such, it is not a guarantee of every course or program offered, or the competence of individual graduates. Rather, it provides reasonable assurance about the quality of opportunities available to students who attend the institution. Inquiries regarding an institution’s accredited status by the NWCCU should be directed to the administrative staff of the institution.